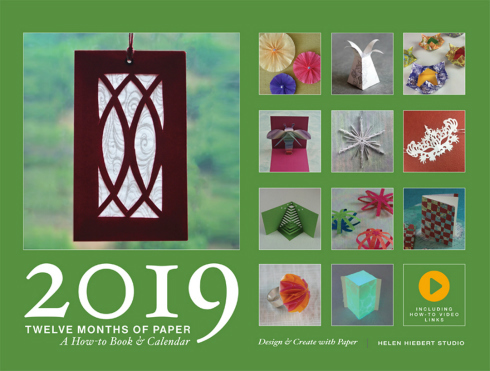 Paper artist, how-to book author, and teacher Helen Hiebert of Helen Hiebert Studio has created a Twelve Months of Paper Calendar for the past three years. These gift-worthy calendars are filled with fun paper projects for the whole family to create together. I invited her to tell us about the newest edition for 2019 and am happy to say it includes a quilled project designed by yours truly! Tell us about the new Twelve Months of Paper Calendar. The 12 Months of Paper Calendar is a how-to book and wall calendar all-in-one. 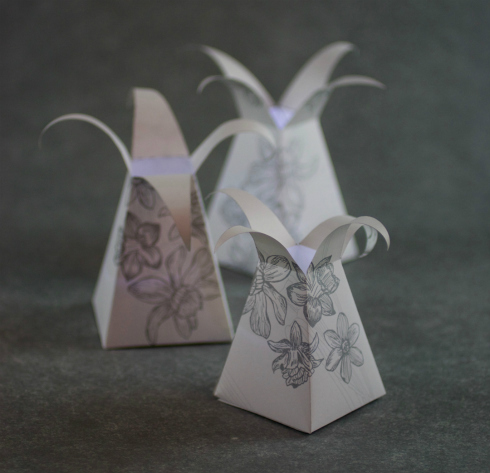 Follow step-by-step instructions to create a clever paper design each month. Most projects take 30 minutes or less to complete. You can purchase a Custom Paper Pack with the calendar, right? Yes! I love discovering new papers and pairing them with projects! I’ve curated a pack of papers that you can purchase with the calendar, so that you have everything you need to create the projects. Tell us about some of the projects. We’ll kick the year off with the Floral Lantern featuring a paper that was designed by Debra Glanz of Reminiscence Papers. The paper pack comes with two battery-operated tea lights – one that changes colors – so that you can light up your lantern as soon as you create it. Of course the paper pack is optional, because I know many paper lovers have their own paper stash. One of my favorite projects is the Woven Paper Notebook. It features a lovely crumpled Japanese momigami paper and a piece of map paper. 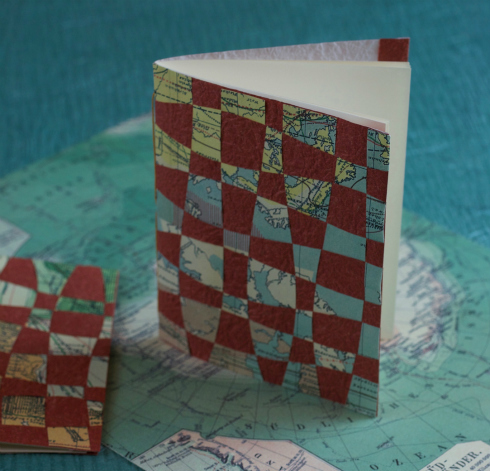 You’ll learn how to weave the two papers together as you create this small notebook. 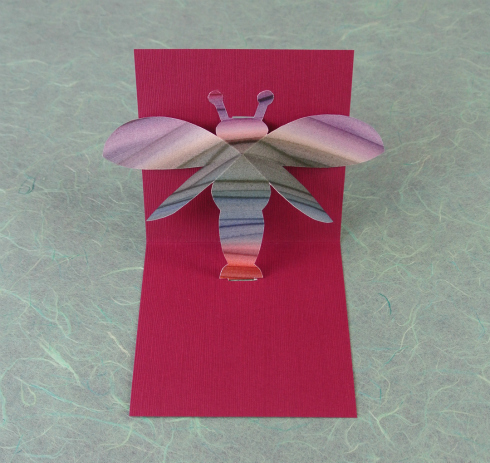 I invited four guest artists this year and Shawn Sheehy designed a Pop-up Dragonfly Card that I paired with a handmade paste paper by Madeleine Durham and a Japanese linen card stock. Béatrice Coron designed a paper cut mask; I’m so delighted to feature your quilled Ice Crystal Ornament, Ann; and Trinity Adams from Paper for Water created an origami candy dish. I heard that you are donating money to Paper for Water. Yes, I'm donating $5 (or 20%) from each calendar sale to Paper For Water, a non-profit I’ve come to know and love. 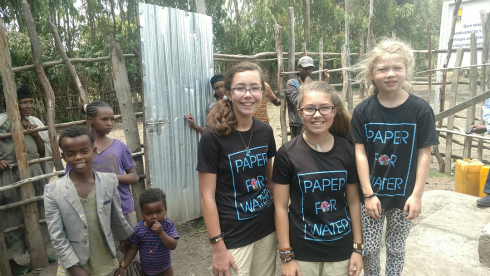 Paper for Water is run by a family in Dallas that started when their young daughters learned that girls in some countries had to carry water instead of going to school. To date, they have raised more than $1.3M via donations, many in exchange for handmade origami items, to help fund over 150 water projects in fourteen countries. 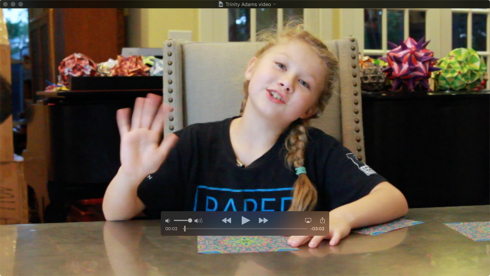 As I mentioned, Trinity, who is just 8-years old, designed a Candy Dish and shows us how to fold it via this delightful video! What will we discover as we create the projects? These projects are fun to make and are suitable for all ages (although some do require using a craft knife). 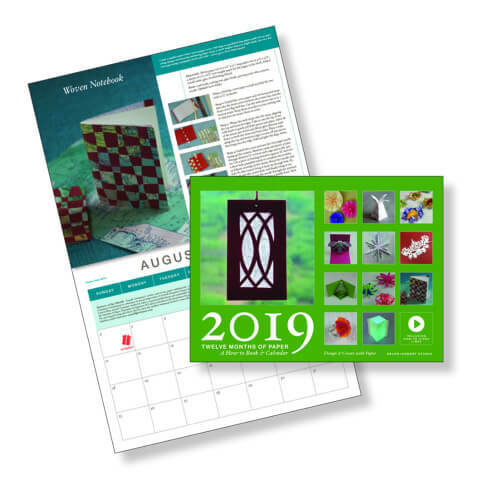 They make wonderful gifts as well as home décor, and my hope is that after creating the projects in the Twelve Months of Paper calendar, you will be inspired to create other paper objects! 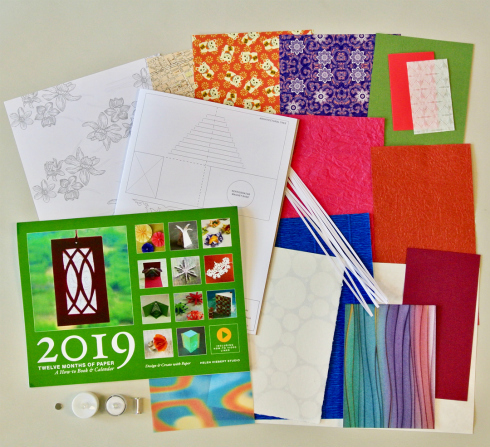 You can even flip through the calendar to see firsthand all of the paper crafting skills you'll learn while completing each project. Order before October 22 and you'll receive a bonus gift. All Things Paper is a Twelve Months of Paper affiliate. A gift for myself !! Nice! I'm sure you'll enjoy it, Cate.